As the wedding day comes closer, the wedding check-list is simply that: a check-list. 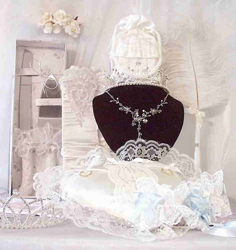 This is more so a reminder for the bride and groom, an article to ensure that all the wedding accessories are in order. The term “Wedding Accessories” does not just refer to those that will be worn on the day, such as cuff links and most importantly wedding rings. Anything and everything that you have organised and chosen to have as part of your wedding day needs to be ready. From ring cushions, and decorations to the order of service to be handed out on the day, all accessories should be prepared and ready by this stage of the wedding planning. Are the Accessories Where They Need To Be? 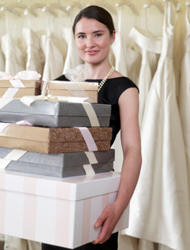 Save yourself rushing around on the wedding day by making sure everything is in its place. Have things organised! Due to the bride, groom and other members of the bridal party preparing for the wedding in different locations it is best to ensure that everyone has their accessories they need in one place. Work out the best system to ensure nothing is forgotten and everything is where it needs to be on the day. Time is of the essence, and if something isn’t ready for the wedding you may find there is enough time to rectify the problem. To save time and stress, try having storage boxes for each person or location, these can include everything for the day and ensure that everything is in the required area.